2017 has been all about Bitcoin dice, poker, and cryptocurrency gambling in general; at least in our (not so) little online gambling world. In the past year, we saw the rise of Bitcoin lotteries, cryptocurrency poker rooms, and even Bitcoin fantasy sports tournaments. The only thing missing in 2017 was more eSports Bitcoin betting sites. It’s no secret that the eSports scene was massive in 2017. That is why two former employees of PokerStars, Lars Lien and Mike Stevens, have decided to open a new eSports betting site entirely based on cryptocurrency technology. 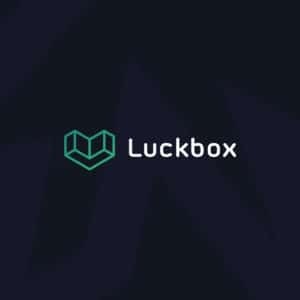 The name is Luckbox.com, and it will launch later this year. The website will allow eSports fans to place bets on professional eSports events from all around the world. Furthermore, players will get an option to wager their bets with cryptocurrencies, as well as with in-game items. Right now, the owners are looking to get the license from the Isle of Man Gambling Commission, with the plans to go global in the near future. What about their business plan? We all know that some of these online gambling startups have shady business plans. However, the owners of Luckbox.com have rich experience in the online gambling industry, which they plan to use to create a solid business plan. They have already accumulated around 500 Bitcoins from various contributors, and they want to launch an ICO (Initial Coin Offering) to fund the rest of the project. Their plan is to put utility tokens for sale, which can be used either to hold a share of the company or to spend them on Luckbox.com services. We won’t know what will become of this eSports betting website until its launch. But it seems that both Lars and Mike know what they are doing. Plus, this area of Bitcoin gambling industry is still relatively unexplored. So, there won’t be many competitors to take them head-on.